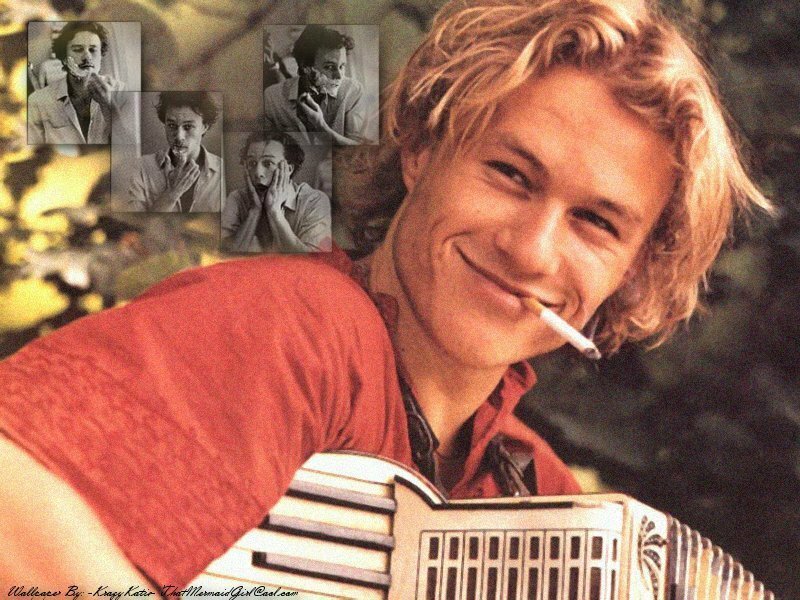 Today marks the fifth year since Heath Ledger passed away. This outstanding actor captured the world audience’s hearts in a teen comedy ‘10 Things I Hate About You’ (1999) and remained and grew in popularity till his sad passing. Awarded the Academy Award for Best Supporting Actor for portraying the Joker in Nolan’s ‘The Dark Knight’ (2008), Heath may only have began his ascendance to greatness when he completed this movie. Below are his most memorable performances. “The Dark Knight” (2008) – portraying the deranged Joker could not have been easy, and Heath gave a terrific performance, totally deserving his Oscar Award given posthumously. “Candy” (2006) – performing alongside his compatriot, Abbie Cornish, Heath gives a dignified performance in his role of a lost and troubled drug addict. “Brokeback Mountain” (2005) – a truly mesmerising performance by Heath yet again when he takes on a very difficult role in this film by Ang Lee. As with “The Dark Knight“, Heath was also nominated for and awarded numerous awards for his performance in this controversially-themed film. “Casanova” (2005) – in this love-it-or-hate-it-romantic comedy, adorable Heath cemented his reputation of a heartthrob. “A Knight’s Tale” (2001) – it is impossible not to like Heath here – confident and charming, we can see in this film that he has a very bright acting future ahead of him. “10 Things I Hate About You” (1999) – this is Heath’s “break-through” film and he gives a solid performance in his role of a school-rebel, Patrick Verona. Oh, God! Has it really been this long since he died? Too bad! He was a great actor! Yes, time flies. And, indeed, he truly was. Damn that seems like yesterday. He was a real great actor. Very sad he suicided. Why he did it? The Brokeback Mountain made a great impression on me, but the best his role at any time stays Joker. My favourite villain. Another thing I feel strongly that contributed to his death was the fact how he jumped right into another physically exhausting role, shooting in bad weather conditions right after working so hard on “Dark Knight”. Our bodies need rest, and I think b/c he didn’t allow himself the chance to rest properly is what played into him taking so much medication to get him through the days. I heard the last day he was shooting on the Dr. Parnassus film that he was outside in the cold rain, and caught pneumonia. Good article; I mention several of those performances on my blog’s page, as well. I will never forget that night. It was very strange, and mentally and physically exhausting for me. I had a like life-deciding exam in the morning, but was glued to my bed with high fever and weird, fast changing thoughts. Needless to say I never made it into the exam room, and had to take it in July 2008 instead. Better late than never. Did you pass?